Doc Johnson, the worldï¿½s largest designer and manufacturer of adult products, has partnered with The Riv, an E-tique.org retailer, to install a School of Doc display. The display will feature Doc Johnson product lines along with an interactive tablet. 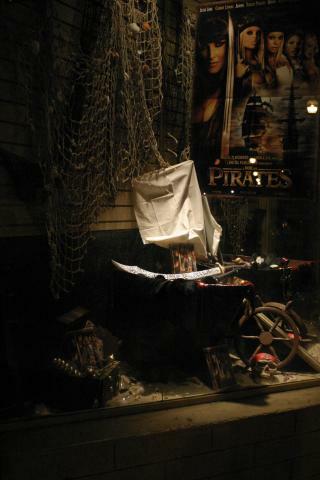 Three Star Books & News in Ventura, California took third place in Digital Playgroundï¿½s store display contest for adult film hit ï¿½Pirates II: Stagnetti's Revengeï¿½. Following a second place win in the 2007 ï¿½Piratesï¿½ retail display contest Three Star Books staff was elated to keep a spot in the top three, however expressed some disappointment over the slight drop in ranks. The nationwide contest, which ran from September 2, 2008 to March 31, 2009 had over 15 entries and attracted more than 15,000 online votes. Digital Playground, who was recently honored at the 2009 F.A.M.E. (Fans of Adult Media and Entertainment) Awards show for ï¿½Pirates IIï¿½ as the Favorite Feature Movie of 2009, awarded over $20,000 in cash and prizes for a second time in a contest to promote the epic ï¿½Piratesï¿½ hits. At third place Three Star Books was awarded $2,500. 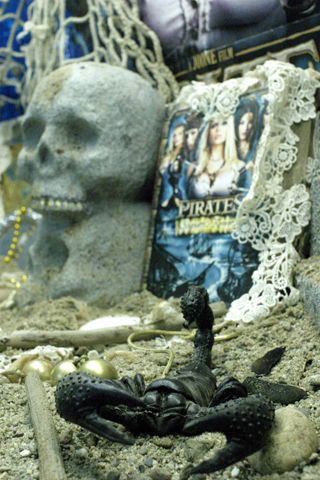 Three Star Books & News in Ventura, California captured second prize in Digital Playground's Pirates Store Display Contest. Digital Playground, which produces full-length adult videos, began the contest as a means to promote their highly anticipated and big-budgeted special effects adult thriller, "Pirates." SB Books President, Donovan Green, is "thrilled" to have placed second - a $5,000 cash prize - in a field of over twenty entries nationwide with over 10,000 votes cast from Digital Playground's website. "I'm thrilled for our employees who created the window display," said Green. "To my mind, the entire point of the display contest is to bring people into the store from the sidewalk to buy the movie and our display is the only entry that does that." The contest, which began on June 5 and ended at midnight on July 31st, was decided by visitors from Digital Playground's website and were independently verified. The contest served to promote "Pirates", a film Digital Playground describes as "The Biggest Epic in the History of Adult Films." "We could have built a huge display in our store, but that pretty much defeats the purpose. Of course people are going to buy a movie with the kind of star power "Pirates" has," added Green. "It goes beyond the cash prize. I'm just really proud of my employees who created the display. It was very creative, effective and I'm glad that they got some well-deserved recognition for their efforts." Hustler's 2004 Honey of the Year Jessica Jaymes and Mia Rose will be making appearances at our Santa Barbara and Ventura stores on July 29, 2007. The ladies will appear at 359 E. Main St. in Ventura from 6:00 PM to 8:00 PM. They will then appear at 405 State St. in Santa Barbara from 9:00 PM to 11:00 PM. Both stars will then be guest bartenders at Study Hall in Downtown Santa Barbara from Midnight to 2:00 AM. There will also be an opportunity to win a VIP Party with the ladies. Raffle tickets go on sale on July 21st. Tiffany Mynx appeared in our Oregon Store in July It was a great hit as fans and customers appreciated the opportunity to rub shoulders and other things with such a big star. It is always nice to give back to the customers. We look forward to many years of bringing stars to Bend Oregon. Jazz it up like you can. Pleasure Productions Superstar Gina Lynn Greets Fans, Fetes Ventura Adult Store! (Ventura, CA) Gina Lynn, the blonde and beautiful adult feature superstar of Pleasure Productions made a guest appearance at Three Star Books & News in Ventura recently to pose with fans, sign photos and autographs and to promote S.B.Books' clean and classy adult retail store on Main Street in the heart of downtown Ventura. "The event was hugely successful," said Wade Wallace, Vice President of Business Development for S.B. Books Inc. which owns and operates the retail store. "Pleasure Productions is really taking off and the number of fans who came out to meet Gina attests to that," added Wallace. Gina Lynn has found success in both adult and mainstream entertainment markets, appearing in the feature film "Analyze That" with Robert DeNiro and Bill Chrystal as well as a having a lead role in Eminem's music video "Superman." Lynn has also showed up on on the small screen in The Sopranos and Third Watch. Since signing to Pleasure Productions in June of 2000, Lynn has appeared in over twenty films, including Accidental Starlet, Inner Vision and Crazy About You. "Gina had a great rapport with her fans," said Wallace. "We hope to bring Gina out again and again as we open new stores across the state." Donovan Green, President of S.B. Books Inc. echoed similar sentiments. "SB Books is dedicated to the model of clean and classy adult retail stores and we plan to expand greatly this year, " said Green. "I think it's a great idea to bring out a star of Gina Lynn's stature to meet fans. It's good for our customers, good for Gina and good for S.B. Books." Adult Feature Star Misty Rain Reigns in Redlands! (Redlands, CA) Adult feature star Misty Rain made a guest appearance in Redlands recently to sign autographs and video tapes, meet fans and to promote S.B. Books' flagship store on Tennessee Street. "It was a huge success," said Donovan Green, President of S.B. Books, Inc., the corporation which operates the adult bookstore chain. "We had a large turnout, Misty was very personable with her fans, she signed autographs and took pictures with customers," added Green. Moreover, the event was an opportunity to show new customers the concept of an adult and novelty "superstore," according to Green. "The idea that adult entertainment book stores have to be dirty and dark is now out the door," Green said. "We're very proud of this store and hope that it begins to set the standard of what stores in our industry should offer: cleanliness, lots of interesting merchandise, friendly clerks and a fun place to browse and shop." Mike Mlyneck, the manager of the Tennessee Street store, agreed. "With so many communities fighting off these types of stores, setting up a clean and classy adult book and novelty store is the best way to disarm those in the community who have the wrong idea of what this industry is about," he said. "We're proud of this store and the Misty Rain event attracted many people who understand better the 'clean and classy' superstore alternative." Stay tuned for more news and announcements! ï¿½ 2002 - 2019 All Rights Reserved S.B. Books, Inc.